Until very recently Sören Kierkegaard was completely unknown in France; even in literary and philosophical circles nothing was known about him. Now, however, interest in him has grown strong in France. Many of his books have already been translated into French, more than a few articles about him have appeared in philosophical and general literary journals, and his ideas increasingly attract the attention of educated Frenchmen. Nevertheless, to the present time there are still many people in France who have scarcely heard his name. In other countries, however, Kierkegaard's influence on philosophical and theological thought is enormous. This is especially true in Germany, where he was already "discovered" toward the end of the nineteenth century. The famous theologian Karl Barth came out of Kierkegaard entirely. To a considerable degree, the same may also be said of the two most eminent philosophers of contemporary Germany, Karl Jaspers and Martin Heidegger: their thinking remains directly or indirectly within the orbit of Kierkegaard's ideas. The literature on Kierkegaard has grown immeasurable in Germany: people there study him as they study the classics. But I wish to say now: Kierkegaard is one of the most complex and difficult thinkers. That he is so difficult is due mainly to his unusual and, to our way of thinking, quite unfamiliar manner of raising philosophical questions. His complexity is also distinctive: that which mainly confuses and irritates the reader is what Kierkegaard designates as "indirect communication." In the same measure he discloses and hides the ideas dearest to him, so that an enormous tension of all the reader's spiritual powers and an extreme concentration of his attention is demanded if he wishes to discover, behind the often deliberately conflicting and entangled statements, what Kierkegaard lived for and what he struggled for throughout his life. Kierkegaard called his philosophy existential - this means: he thought in order to live and did not live in order to think. And in this lies his distinction from professional philosophers, for whom their philosophy is frequently only a "specialty" (as there are all kinds of other specialties: philology, astronomy, mathematics), a specialty that has no relationship and no connection with their life. This, however, does not mean that Kierkegaard's life was rich in external events that were visible and interesting for everyone. On the contrary: he had nothing to do with the events that marked the epoch in which he lived. In his works as well as in his numerous diaries you will not encounter even any mention of the revolution of 1848, although at that time he was already thirty-five years old, and the revolution coincided with the high point of his literary activity. Kierkegaard lived, as it were, outside of history, or, if you please - and this is of enormous significance for understanding him - he had his own history that was a matter of indifference to all but that gave him quite extraordinary material for thinking. Sören Kierkegaard was born on May 5, 1813 in Copenhagen, the child of the second marriage of his father Michael Kierkegaard with his former housemaid Anna Lund. I wish to note now that this marriage was somewhat hurried: Michael Kierkegaard had, as people used to say, to "hush up a sin." This circumstance played a large role in the history of the spiritual development of the son who, already in early youth, learned that his strict and pious father had succumbed to temptation shortly after the death of his first wife. But of still greater significance for Kierkegaard was another fact of his father's life. As an eleven-year-old boy Michael Kierkegaard was given over by his parents, who were extremely poor peasants, to work for some shepherds, likewise very poor people who themselves lived under very difficult conditions and who exploited in every possible way the child who had been completely handed over to their disposal. And so it happened that on a foul, cold, rainy, spring day when the unhappy child, hungry, half-clothed and worn down by work beyond his powers, had to watch over sheep from early morning on in one of the bleak and inhospitable valleys of Jutland, he came to a state of despair and, running up a hill, cursed God. The old Kierkegaard until his death (he died at the age of eighty-two) could not forget this: he saw in it a crime against the Holy Spirit, suffered endless torments over it, and believed himself condemned to eternal perdition. He believed this not only of himself but of his posterity. He was not able and did not wish to hide this from his children, and the young Sören already knew that he was burdened with a grievous hereditary sin. Thus two events that occurred long before Sören Kierkegaard's birth proved to be decisive for his life. It is necessary to assume that herein lies the key to that tension, exceptional in its decisiveness and concentration, with which his existential philosophy treats the generally neglected biblical theme of original sin and the fall of the first man. Kierkegaard's education, of course, was in the beginning completely in the hands of his father and bore a strictly religious character. Nevertheless he was sent to school, which he finished in the year 1830, and afterwards he entered the university to study theology. As long as his father was still alive, Sören's studies at the university, to the great distress of the old man, went badly: the son was diverted from theology by other interests - he went into society a great deal, visited the theater, etc. He led, so to speak, a dissipated life, and it seemed to all who were close to him that he would never obtain his university diploma. When his father died in 1838 at the age of 82, no one any longer doubted that Sören would not pass the examination. But, contrary to the general view, in 1840 he passed the examination with distinction and, besides, shortly before this, received the diploma of a magister artium. But, though he possessed all the requisite learned degrees - and, by the way, that of candidate of theology (which corresponds to the German doctor of theology) - he never occupied the office of a pastor or any other position to which his diploma entitled him and remained to his death a "private" person, or as he himself expressed it, a "private thinker." In the year that Kierkegaard finished his university studies he became engaged to a young girl named Regina Olsen who was just seventeen years old and whom he had known from childhood. But a year later, on October 10th, 1841, to the great indignation of his relatives as well as those of his fiancée, indeed of all Copenhagen, without visible reason, he broke the engagement. A hundred years ago Copenhagen was still a large village: all the inhabitants knew each other's affairs, and the completely ungrounded break with his fiancée made Kierkegaard the talk of the town. Regina Olsen was terribly shaken; she did not and could not understand by what Kierkegaard's unexpected act might have been provoked. But even more shaken and crushed by his act was Kierkegaard himself. His break with his fiancée - for all of us a minor fact of slight significance - acquired for him the dimensions of a great historical event. And it would be no exaggeration if we were to assert that the character of his philosophy was determined precisely by the fact that, as a result of the will of fate, he had to experience such an unimportant fact as a historic event - as an "earthquake," to put it in his own words. What made Kierkegaard break with Regina Olsen? Both in his diaries and in his books he speaks uninterruptedly in his own name and in the name of invented characters about a man who had to break with his beloved - but at the same time he constantly forbids his future readers in the strictest fashion to try to find out the true reason that forced him to do that which for him (as well as for his fiancée) was the most difficult and tormenting of all things. More than this, he says more than once that in his writings he did everything possible to confuse the curious. Nevertheless one must say that, at the same time, he did everything possible to prevent his secret from being buried with him. In his books and diaries he constantly repeats, "If I had had faith, I would never have abandoned Regina Olsen." These are puzzling words: what relationship can faith, as all of us are accustomed to understand this word, have with the question whether a man marries or does nor marry? Nevertheless, in this a great truth and a great insight of Kierkegaard's is expressed. Of this we shall speak in great detail when we present an exposition of his religious philosophy. In the meantime I would like to say that Kierkegaard's literary activity - not counting his candidate's dissertation (it was entitled The Concept of Irony) - began with the break with his fiancée, that is, in 1841, when he was already twenty-seven years old. Books large and small, essays, edifying discourses, and diaries follow each other with astonishing rapidity - in the course of the fifteen years that he still had of life (he died on November 11, 1855) what he wrote amounted to twenty-eight volumes: fourteen works and fourteen diaries. His first book is entitled Either/Or, and this title by itself already bears witness to the direction that Kierkegaard's thought had taken. Just as characteristic is the title of his second book, Fear and Trembling, and the small, half-belletristic, half-philosophical work Repetition appended to it. In the former, the subject is Abraham's sacrifice; in the latter, the book of Job. Nine years after the appearance of Fear and Trembling he writes in his diary, "People will shudder before the terrible pathos permeating this book." What he says about Fear and Trembling may be said about all his works, about everything that he wrote. In The Concept of Dread, in Sickness Unto Death, in Training in Christianity, in his discourse entitled "The Thorn in the Flesh," in "On the Distinction between an Apostle and a Prophet," "Should a Person Let Himself be Killed for the Truth?" as well as in those books whose titles do not betray anything about their content, such as Stages on Life's Way, Philosophical Fragments, etc. - in everything that he wrote - is felt that unheard-of, somber and grievous pathos that Kierkegaard himself noted in Fear and Trembling. The same must also be said about his diaries. And the older Kierkegaard becomes, the more threatening and fearful does his pathos become. Correspondingly, the challenge to the present time grows ever greater in his writings. He battles simultaneously on two fronts: on the one side, against speculative philosophy, against its representative Hegel who, in his time, was the dominant intellectual influence in Europe, and, on the other side, against the church and the clergy, against the whole "Christian world," which, as he wrote, had "killed Christ." Particularly sharp and impetuous were his last publications in the little journal entitled "The Instant" that he himself filled up. He declared openly that the clergy, the church, and all those who belong to the church betray Christ and that he who wishes to be a Christian is obliged to leave the church. Also from the same time dates his essay on Bishop Mynster, for many years the head of the Danish church. Mynster had been the confessor of Kierkegaard's father, and he alone understood how to bring some peace into the soul of the old man tortured by the inescapable recollection of his grievous sins. Mynster was also, essentially, the tutor of Sören himself, whom he knew from his earliest childhood and who never missed one of his Sunday sermons. All of Denmark considered the bishop its spiritual leader and revered him. As long as Mynster lived, Kierkegaard left him untouched. 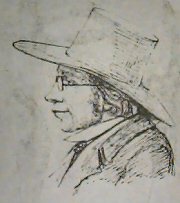 But when Mynster died on January 30, 1854 and his son-in-law, Professor Martensen, a well-known scholar and philosopher (a Hegelian), in his funeral oration called him a "witness to the truth," Kierkegaard lost patience and wrote and published an essay entitled "Was Bishop Mynster a Witness to the Truth?" in which he insisted with a harshness that was unusual even for him that Martensen was not entitled to say what he had said, for Mynster was not a witness to the truth. This article, as well as his article on the church, naturally called forth general indignation. But Kierkegaard himself did not have much longer to live. On October 2, 1855, as a result of complete exhaustion, he collapsed on the street and was brought to a hospital where he died two months later. In his lifetime Kierkegaard enjoyed fame in Denmark, but outside the country people knew nothing at all about him. However, even in Denmark he had to print his works at his own expense - and although the expenses of printing were repaid by the sale of his books, his writings did not yield him an income. He managed to exist only thanks to a small fortune left to him by his father. But since he was not willing to invest his money in interest-bearing securities because, in accordance with the Bible, he considered the taking of interest a sin, at the time of his death almost all of his means were exhausted: there remained only a small sum that barely sufficed for a modest burial. Before proceeding to an exposition of Kierkegaard's philosophy, it is important to note that he was a very well-read and broadly educated man. In the library that he left, consisting of about twenty-two hundred volumes, were found, side by side with the works of the Greek philosophers (in the original), the mystics of the Middle Ages, the Church Fathers, and the newer German philosophers (he possessed Hegel's collected works and almost everything written in antiquity on Socrates), numerous works of Catholic theologians, the theosophical writings of Jakob Boehme, Swedenborg, and Baader, as well as an enormous number of books of literature: Shakespeare, Byron, Shelley, Goethe, the German romantics, etc. I mention this chiefly for the purpose of noting that the ordinary considerations accumulated in the course of centuries by common sense and human wisdom were just as well known to Kierkegaard as to those who did not wish to follow him and preferred to walk the broad, well-trodden road of thinking. If, nevertheless, he struck out on another path, it was not because he was an insufficiently well-informed person or did not understand what impels people to think in that fashion in which everyone thinks. He knew everything and understood everything - knew it better and understood it more deeply than others. Nevertheless, or, more accurately, precisely because of this, he went his own way that appears to everyone so extraordinary and so alien. Plato (through the mouth of his incomparable teacher Socrates) proclaimed to the world, "There is no greater misfortune for a person than to become a misologos, that is, a hater or despiser of reason." Also Plato and, following him Aristotle, taught: the beginning of philosophy is astonishment or wonder. If one had to formulate Kierkegaard's most cherished thoughts in a few words, he would have to say: the greatest misfortune for a man is unconditional confidence in reason and in rational thinking, and the beginning of philosophy is not, as the ancients supposed, astonishment but despair. In all his works he repeats in a thousand different ways: the task of philosophy consists in escaping from the power of rational thinking and in finding in oneself the audacity (only despair gives man such audacity) to seek the truth in that which all have become accustomed to consider as paradoxical and absurd. There where, according to the testimony of our experience and understanding, all possibilities cease; where we believe we have come up against the wall of the absolutely impossible; where it becomes clear in the most obvious fashion that there is no longer any way out, that everything is forever finished, that man can no longer do anything and think about anything and that it remains for him only to look on and grow cold; where people discontinue, and believe they must discontinue, all attempts to search and struggle - only there, in Kierkegaard's view, does the true and genuine struggle begin. And in this struggle lies, for him, the task of philosophy. "Aimes-tu les damnés, connais-tu l'irrémissible?" - this terrible question of Baudelaire looks at us from every page of Kierkegaard's writing. Kierkegaard had a profound reverence for Socrates. "Outside of Christianity Socrates is alone and unique," he wrote in his diary in the last years of his life. But what can the wisest of men tell us, what can he tell himself, before the insuperable, before people handed over to eternal condemnation? Socrates taught Plato and all of us to think that reason can rescue a person from every calamity and that hatred for reason is the greatest misfortune. But before the insuperable, reason is powerless and, since it refuses to admit its impotence, it calls for submissiveness, on which it constructs its ethic that appropriates to itself the right and the power to hand people over to eternal condemnation. Because of this Pascal already spoke so challengingly about our impotent reason and pitiable morality. This also incited him to the stunning and stupendous decision to renounce reason and everything that reason, which considers itself the supreme life-principle, gives man. From this also his "je n'approuve que ceux qui cherchent en gémissant" - in opposition to all the recognized methods of finding the truth which seem to us as if forever intergrown with the very nature of thinking. We value only objective, dispassionate searching. According to our ineradicable conviction, truth is accessible only to him who, forgetting himself as well as his neighbors and the whole world, indicates beforehand his readiness to accept everything that truth may bring with it. This is the meaning of Spinoza's behest: "non ridere, non lugere, neque detestari, sed intelligere" - "not to laugh, not to weep, not to curse, but to understand." Is it given us to choose between Spinoza and Pascal? Would it be possible to admit that Pascal's passionate chercher en gémissant would provide us with truth in greater measure? Or even that dispassionate "understanding" binds a man's hands and feet, paralyzes his thinking, and cuts him off forever from the final truth from that which in Holy Scripture is called "the one thing necessary?" History long ago answered this question. Pascal's s'abêtir as well as his chercher en gémissant were deposited by us in the cabinet of curiosities in which rare objects that are interesting in themselves but no longer needed by anyone are preserved. We are controlled by objective truth, with which even believing people do not dare to dispute and before which they bow down. But is it possible to regard the verdict of history as final and definitive? I mentioned Pascal here in the hope that through him it would be easier to approach Kierkegaard. In the short but, because of its honesty, depth and power of expression, remarkable philosophical tale Repetition, which was appended to his book Fear and Trembling, Kierkegaard writes, "My friend (Kierkegaard almost always, when he wishes to express his most intimate thoughts, speaks in the third person) now fortunately seeks no enlightenment from a world-famous philosopher or a professor publicus ordinarius (i.e., Hegel)." "He turns to a private thinker who once possessed the glory of the world but who retired from life - in other words, he takes refuge with Job... who sits in ashes and scrapes himself with a potsherd and, without interrupting this manual labor, throws out fugitive hints and remarks. Here he believes that he has found what he sought; here, in his opinion, the truth resounds more magnificently and delightfully and truly than at any Greek symposium"  (i.e., than in Socrates, Plato, and all the great philosophers who, before and after Plato and Aristotle, created and formed Hellenic thought). The setting over against each other of Job, on the one side, and, on the other, of Hegel and Plato, that is to say, of all of ancient and modern philosophy - this is the greatest challenge to our entire culture; nevertheless, in this lies Kierkegaard's secret thought, which runs through all his works. From this flowed what Kierkegaard calls existential philosophy and what, according to his teaching, should come to take the place of speculative philosophy. "The difficulty of speculation," he explains in his diary, "increases in proportion as one has to implement existentially that about which people speculate... But in general it goes with philosophers (with Hegel as well as others) as it does with most people, that basically for daily use they exist in different categories than those in which they speculate, that they console themselves with something quite different than that about which they solemnly speak." Speculative philosophy and speculative philosophers, whom Kierkegaard always mockingly calls "speculators," have torn human thinking away from the roots of being. In his Logic Hegel explains confidently, as if the truth itself spoke out of his mouth: "Insofar as I think, I give up my subjective separateness, immerse myself in the thing, let thinking do as it pleases, and I think badly insofar as I add anything of my own." Not only to Hegel but to all of us it seems so; we are all convinced that the precondition of grasping truth is the readiness of a person to renounce his most significant, his most life-important interests and to accept everything that is revealed to him through his intellectual vision, his reason, no matter how terrible and repulsive it may be. "In philosophy," we read in the same Hegel, "religion obtains its justification from the thinking consciousness. Thinking is the absolute judge before whom the content (of religion) must prove itself true and certify itself." And here Hegel again speaks not in his own name but only expresses what all people ("omnitude," as Dostoevsky said) have thought. If religious truth cannot justify itself before reason, which itself does not need to justify itself before anyone, then it thereby reveals its bankruptcy and condemns itself to death. Kierkegaard himself passed through Hegel: in his youth, like almost all people of his own age, he was completely in the philosopher's power. For a long time he interpreted his inner resistance to Hegel's philosophy as an "incapacity to understand the great man" and with terror at heart he told of this "shame and misfortune of his." For all that, he was clearly aware that behind Hegel stands the Greek symposium and that, in the final reckoning, he would have to take up a struggle not only with Hegel but also rise up against Plato, Aristotle, and Socrates himself. To put it differently, that he would have to raise the question of the infallibility of human reason. Were the Greeks, were the contemporary philosophers right when they saw in reason the only source of truth? Was Hegel right in proclaiming that all that is real is rational and that all that is rational is real, and that before the real - no matter how terrible it may be - protection is nowhere and with no one to be found and, consequently, no protection needs to be sought, but that the real, as it is, must and can be accepted? Hegel, Kierkegaard answers, "deified reality" and in this saw his merit and his strength, but in fact here the weakness, the slackness of his spiritual being were shown. In Hegel, as in the overwhelming majority of people, no doubts arose about the correctness of his methods of searching for truth. "People," writes Kierkegaard, "of course do not understand how truly terrible this is;" they close their eyes before it and "take life as it is, as all understand and accept it." But can such an attitude toward life be called philosophy? Is this thinking? Is it not the opposite? Does it not mean that a person who turns away from the terrors of life - whether he be a renowned professor publicus ordinarius or a plain citizen - thereby renounces both philosophy and thinking? "Human cowardice," Kierkegaard declares, "fears especially the explanations of the insane and the dying." That is why he leaves the universally recognized Hegel and goes to a "private thinker," the biblical Job. He goes to him not in order, as an outside observer, to admire the magnificent outbursts of wrath of the much-plagued old man or to delight in the incomparable linguistic imagery of, as he says, "one of the most human books of Holy Scripture." Of this Hegel would also have been capable - indeed, who has not already been carried away by the Book of Job! Kierkegaard, who, in opposition to "omnitude," found or was compelled to find in himself the courage to listen to what insane people and the dying tell us, goes to Job as to a thinker, he goes to him for the sake of the truth from which Hegel, seeking shelter in the oasis of his philosophical system, shut himself off. Hegel does not wish to listen either to Kierkegaard or to Job and cannot listen to them: out of their mouths speak insanity and death, to which it is not given to justify themselves before reason. People who have been cast out of life have no place in Hegel's "system"; speculative philosophy turns away from them, forgets about their existence. Kierkegaard exclaims, "What kind of power is it that has taken away my honor and my pride, and indeed in such a senseless way? Am I really beyond the protection of the laws?" But could Hegel even only for a moment doubt that the individual person is beyond the protection of the laws? For speculative philosophy it is perfectly obvious that the individual person, that is to say, a being arising in time, must also have an end in time and that the laws were not at all established to protect such a transient existence. And the power of which Kierkegaard speaks is by no means a senseless but an intelligent, rational power, for everything that is real is also - as we have just heard - rational. The task and duty, indeed the destiny of men - and Kierkegaard has no right to claim for himself any kind of privileges - consists in grasping this great, forever unchangeable truth, in accepting it with wise tranquility and submitting to his fate. This was also known to Job's friends, who did everything possible through their speeches to help him rise to the proper moral height. But the more and the more ardently his friends spoke, the more incensed Job became. The reading of Hegel's work produced the same effect on Kierkegaard. For a long time he could not decide to rise up against the renowned teacher and dominant intellectual influence of his own youth. "Only terror reaching despair develops a person to his highest," Kierkegaard writes in his diary. Job also only ventured to enter into the great and final battle against the self-evidences when the terror of human existence that revealed itself to him surpassed all imagination. I concluded the previous section with those words of Kierkegaard's that are never to be forgotten if you wish to penetrate into the essence of his philosophy: "Only terror reaching despair develops a person to his highest." That is why Kierkegaard was so irresistibly drawn by the Book of Job which, in his view, is the most human book of the whole Bible. That is why he also made the decision, unheard-of in its absurdity and for us completely incongruous, to set Job as a thinker over against Hegel and the Greek symposium. After all, Job also decided to throw down a challenge to all of our indisputable truths only when the terrors and misfortunes befalling him surpass all imagination. Here is how Kierkegaard tells of this in his Repetition: "The greatness of Job is therefore not that he said, 'The Lord hath given, the Lord hath taken away, blessed be the name of the Lord' - what he indeed said at first and did not later repeat... The greatness of Job lies in the fact that the passion of freedom is not choked or calmed in him by any false expression... Job demonstrates the compass of his world view through the firmness with which he knows how to eschew all crafty ethical evasions and cunning wiles." Everything that Kierkegaard says of Job can also be said of himself. And here is the closing passage in which Kierkegaard says, "Job is blessed and received everything back again double. This is what people call a repetition... Thus there is a repetition. When does it come? When did it come for Job? When all conceivable human certainty and probability was on the side of impossibility." And, according to Kierkegaard's deep conviction, this repetition will "obtain a very important role in the newer philosophy," for "the new philosophy will teach that all of life is a repetition." The new philosophy means the existential philosophy. This philosophy begins where all conceivable human certainty and probability bears witness to impossibility, i.e., the end, and where speculative philosophy falls silent. For Hegel, for the participants in the Greek symposium, there is here nothing more to do - they can neither begin anything nor continue anything. They do not wish and do not dare to oppose the instructions and commandments of reason. They are completely under the power of the conviction that to reason and only to reason is it given to define the boundaries of the possible and the impossible. They do not even dare to ask from where this unshakable certainty of the omnipotence of reason came to them. This seems to them tantamount to the readiness to place absurdity and nonsense in the place of reason. Could one decide to take such a step? Could a person sacrifice his reason? Could he forget the divine Plato's warning that the greatest misfortune that can happen to a man is to become a misologos, i.e., a hater of reason? But is it really a question of sacrifice here? It turns out that Plato did not foresee everything. Reason is indeed necessary, very necessary for us. Under the ordinary conditions of our existence it helps us to cope with the difficulties, even the very great difficulties, that we run up against on our life-path. But it also happens that reason brings man the greatest misfortune, that from a benefactor and liberator it is transformed into a jailer and hangman. To renounce it does not at all mean to sacrifice anything. Here there can be only one question: How is this hated power to be thrown off? Indeed, even more than this: man ceases completely to ask, as if he sensed that in the very asking a concession to the boundless pretensions of the truths disclosed to us through reason is hidden. Job does not ask: he cries, weeps, curses (could Pascal perhaps have had Job in mind when he said, "je n'approuve que ceux qui cherchent en gémissant"? ); in a word, he raves, and the edifying speeches of his friends who came to comfort him provoke in him attacks of fury. He sees in them only an expression of human indifference- and human cowardice which cannot bear the sight of the terrors that have befallen him and which cloak their perfidy with exalted words of morality and wisdom. Reason attests "passionlessly" to the end of every possibility, and ethics, which always follows on the heels of reason, comes with its pathetic exhortations and edifying speeches that man is obliged humbly and meekly to bear his fate, no matter how terrible it may be. To this Kierkegaard, just like Job, has only one answer: it is necessary to kill, to annihilate the repulsive monster that has usurped for itself the right to pass sentences in the name of reason over the living person and to demand of him, in the name of morality, that he consider the sentences that have been passed as eternally indissoluble and holy. "My unforgettable benefactor, much-plagued Job!" writes Kierkegaard. May I join you?... I do not stand as an impostor before your ash heap, my tears are not false, although all I am able to do is to weep with you... I did not possess the world, did not have seven sons and three daughters, but he also may have lost everything who possessed but little, he also may, as it were, have lost sons and daughters who has lost his beloved, and he too, was, so to speak, 'smitten with sore boils' who has lost honor and pride and along with these the will to live and the meaning of life. Already out of these forced, fugitive comments and short extracts from Repetition one can partially guess what an enormous and important task the Danish magister of theology, who was unknown to anyone during his lifetime, set himself. From the renowned philosopher Hegel, from the famous wise men of antiquity and of modern times, he went to the private thinker Job; from learned treatises he went to Holy Scripture. Pascal's chercher en gémissant is set by him as a method of searching for the truth over against those methods that until then had been employed by the best representatives of philosophical thought. Job's wailings are not, as all of us have been trained to think, mere wailings, that is to say, purposeless, senseless cries that are needed by no one and tiresome to everyone. For Kierkegaard there is revealed in these wailings a new dimension of thought; he senses in them a real power from which, as from the trumpets of Jericho, fortress walls must collapse. This is the basic motif of the existential philosophy. Kierkegaard knows no worse than others that for speculative philosophy is the greatest absurdity. This, however, does not stop him; it inspires him. In thinking a new dimension is, as it were, revealed. On Job's balances human sorrow weighs heavier than the sand of the sea, and the groans of those who perish refute the self-evidences. When all conceivable human certainty and probability point to impossibility, the new battle for the possibility of the impossible that is no longer rational but insane begins. This battle is what Kierkegaard calls existentialist philosophy - a philosophy that seeks the truth not from reason with its limited possibilities but from the Absurd that knows no boundaries. From Job Kierkegaard's way leads to him who in Holy Scripture is called the father of faith - to Abraham and his terrible sacrifice. The entire book Fear and Trembling - the title is taken from the second psalm - is dedicated to Abraham. Already with Job it was difficult, very difficult for Kierkegaard: what great efforts his decision to set the tears and curses of Job over against the calm and sober thinking of Hegel cost him! But from Abraham, more, much more was demanded than from Job. To Job his misfortunes were sent by an external power, but Abraham himself raised the knife over his son. From Job people run away, and even ethics, feeling its impotence to help him, moves imperceptibly away from him. But from Abraham people ought not to run away but rather take up arms against him: for Abraham is the greatest criminal but at the same time also the most miserable of men - he loses his son, the hope and support of his old age, and at the same time, like Kierkegaard, his honor and his pride. Who is this mysterious Abraham and what sort of enigmatic book is it in which Abraham's deed is not, as would be proper to do, branded with a stigma but is extolled and glorified for the instruction and edification of posterity? Kierkegaard declares fearlessly, "Abraham with his deed overstepped the boundaries of the whole ethical realm. His telos was higher, outside the ethical; regarding this telos, he suspended the ethical." How could Abraham, how could anyone, dare to suspend the ethical? "When I have to reflect upon Abraham," writes Kierkegaard, "I am as if annihilated. At every moment I see that enormous paradox which is the content of Abraham's life; at every moment I am pushed back and my thought, despite all passion, cannot penetrate into the paradox." Then he adds to this: "In the case of a hero I can think myself into him, but I cannot think myself into Abraham. When I have reached the height, I fall down, for that which is offered to me is a paradox. But for this reason I consider faith in no way a slight thing but, on the contrary, the highest that there is, and I see it as a dishonesty on the part of philosophy that it puts something else in its place." And finally: "I have looked the terrible in the eyes; I do not flee from it timorously; but I know very well that, although I go toward it courageously, my courage is nevertheless not the courage of faith, nor anything comparable to it. I cannot accomplish the movement of faith; I cannot close my eyes and hurl myself confidently into the Absurd." In accordance with this, Kierkegaard directs all his powers against our ethic and against what we call objective truth. "If the ethical is the highest, then Abraham is lost," he writes. On the other hand: "In superstition objectivity is granted the power of Medusa's head, so that it turns subjectivity into stone." In the objectivity of speculative philosophy he sees its basic defect. "People have become too objective to have an eternal bliss" he writes, "for this consists precisely in passionate, infinite personal concern, and it is just this that they give up in order to become objective; they let themselves be enticed by objectivity." And this infinite concern is the beginning of faith. "Through resignation I renounce everything" (as is demanded by speculative philosophy which, in showing the temporality and transitoriness of everything that life offers us, thinks that it liberates the human spirit), Kierkegaard writes in regard to Abraham's sacrifice. "Resignation requires no faith... This movement I make in my own power, and if I do not make it the reason for it is that I am cowardly and effeminate... Through faith I renounce nothing, but on the contrary, through faith I acquire everything, precisely in the sense in which it is said that he who has faith as a grain of mustard seed can move mountains. A purely human courage is required to renounce everything temporal in order to gain the eternal... but a paradoxical and humble courage is required to grasp all temporality by virtue of the Absurd, and this is the courage of faith. Through faith Abraham did not give up Isaac, but through faith he won him." It would be possible to quote as many passages from Kierkegaard as you please in which the same thought is expressed. "The knight of faith," he declares, "is the only happy one, the heir apparent to the finite." Kierkegaard realizes very well that assertions of this kind are a challenge to everything that our natural thinking tells us. That is why he seeks protection not in reason with its universal and necessary judgments, for which speculative philosophy strives so ardently, but in the Absurd, that is, in faith, which our reason qualifies as the Absurd. He knows out of his own experience that "to believe against reason is martyrdom." But only such a faith, a faith that does not seek and can not find justification in reason, is, according to Kierkegaard, the faith of Abraham, the faith of Holy Scripture. It alone gives man the hope of overcoming that cruel necessity which came into the world through reason and began to rule in it. When Hegel transformed the truth of Holy Scripture, the truth of revelation, into metaphysical truth, when, instead of saying that God assumed human form or that man was created in the image of God, he proclaims that the "chief idea" of the absolute religion is "that of the unity of the divine and human natures," he kills faith. The meaning of these words of Hegel is the same as that of Spinoza's words: "God acts only according to the laws of His nature and is coerced by no one." And the content of human absolute religion again comes down to Spinoza's thesis: "Things could not have been created by God in any other way and in any other order than they were created." Speculative philosophy cannot exist without the idea of necessity: it needs it as a man needs air, as a fish needs water. That is why the truths of experience, as Kant said, irritate our reason so much. They speak over and over again about the free, divine fiat and give no real, that is to say, compelling, forcing knowledge. For Kierkegaard, however, compelling knowledge is the abomination of desolation; it is the source of the original sin through which the tempter with his "And you shall be like God, knowing" brought the first man to fall. Here, as elsewhere, Shestov, who read Kierkegaard only in more or less adequate German translations, tends to paraphrase his words. Relying on the excellent renderings of Kierkegaard's works into English by Walter Lowrie and others, I have substituted more literal translations for Shestov's paraphrastic quotations [translator's note].